Its no secret. 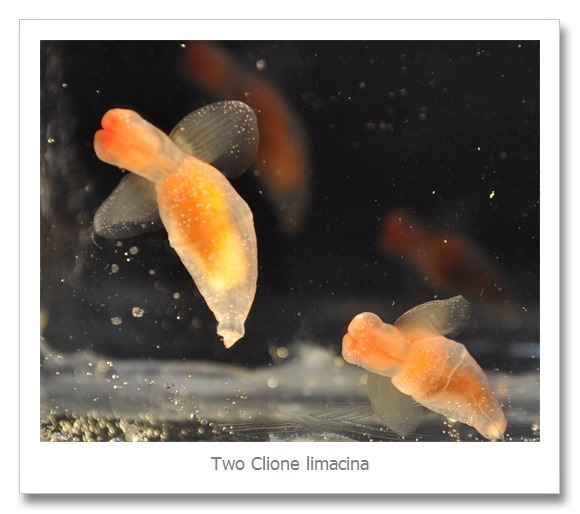 I just love Clione limacina, or Clione to her friends. 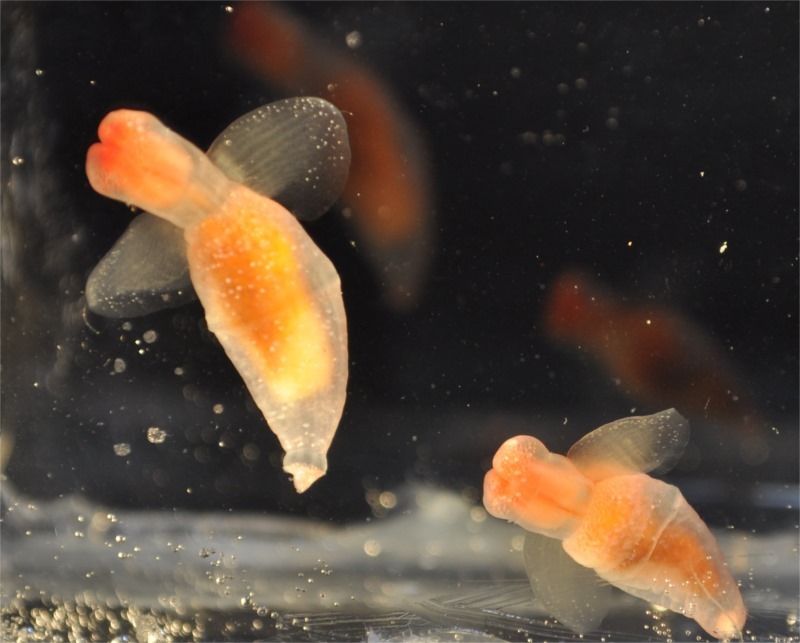 These guys are pteropods and are sometimes called sea angels or sea butterflies. They are little snails that don’t have shells, but rather flap through the ocean using wing like extensions of their mantle. Also, they are gorgeous in their lovely shades of orange, yellow and coral. 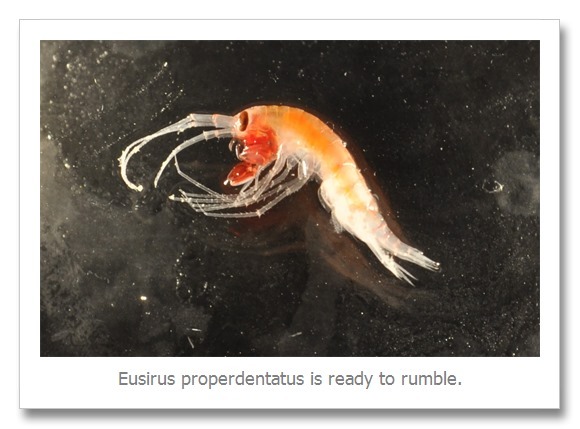 Most of the weirdos we get are amphipods. 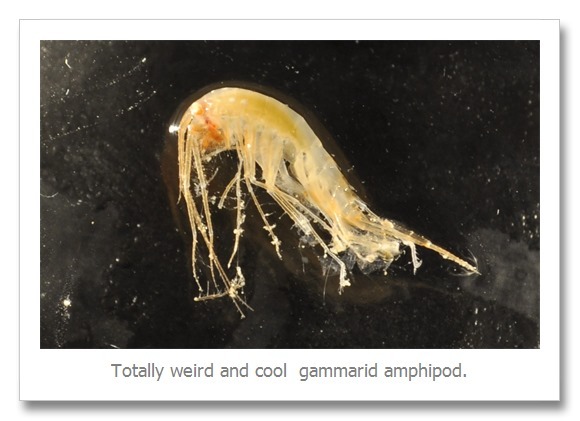 Amphipod morphology (their shapes, what they look like) can get pretty crazy. Some are adorable like this guy who comes with his own, home grown boxing gloves. Some grow their own swords. This is Scina sp. 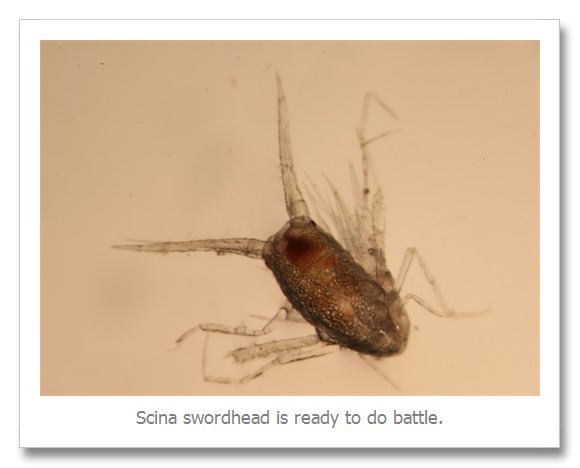 We call everything in this genus swordheads, for obvious reasons. This guys are just too hard for us to identify to species so we leave it at genus. Other weirdos are all lovely and starry in purple. 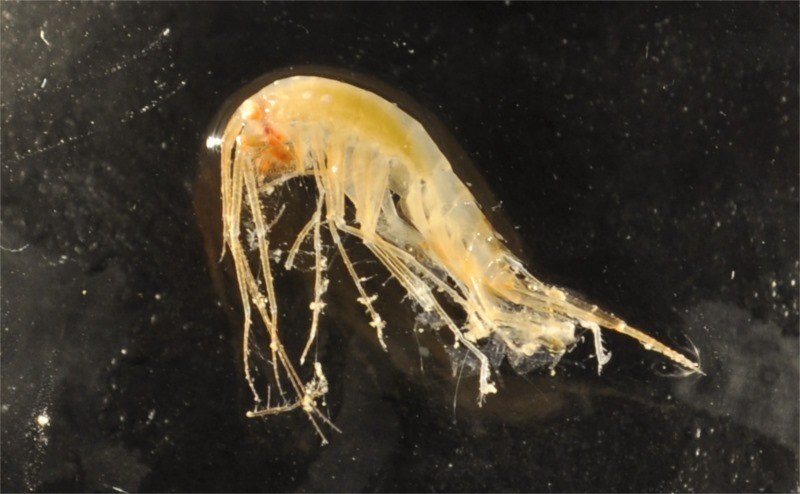 Sometimes you look at these rather tiny amphipods and wonder how they survived the net all in one piece. And then you look at their complex structures and think “surely I can identify this to species” , but you don’t get very far as the keys are not comprehensive. We had one tow that was within a few meters of the bottom. We usually keep the net much higher in the water column and catch pelagic species and we mostly can identify. However on this near benthic tow, we got a bunch of super neat looking benthic (bottom associated) critters that we had never seen before. 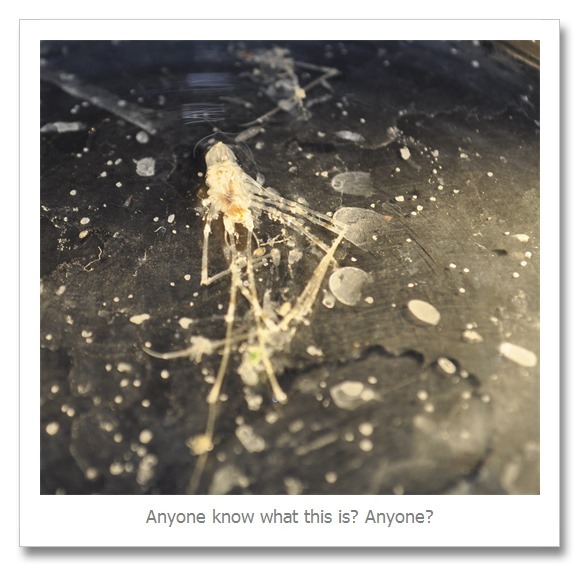 Sometimes we could identify the critter down to family. Other times we pull up something that is not in the key and defies all expectations. 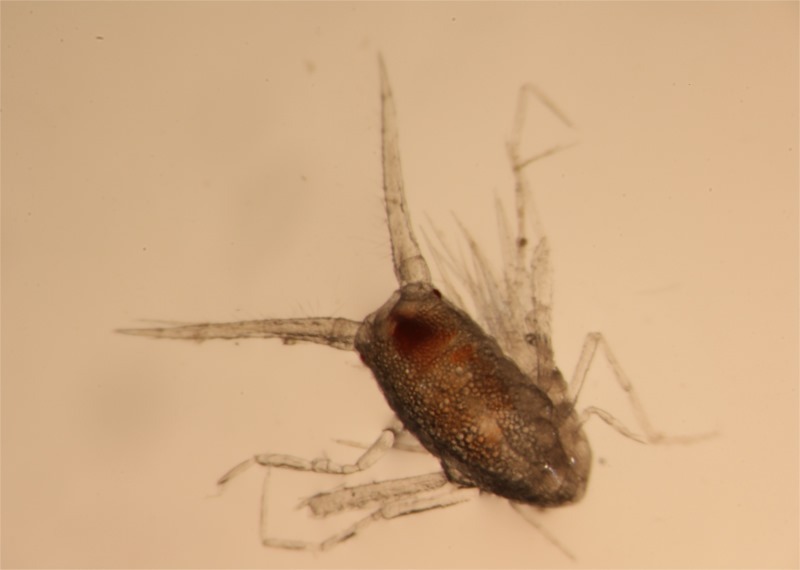 When we first saw this guy, we thought it was a pycnogonid (sea spider), but then we took a closer look under the microscope and the legs were all wrong for a pycnogonid. So we have zero clue as to what this thing is. We stuck it in its own jar and will consult with experts back at home. 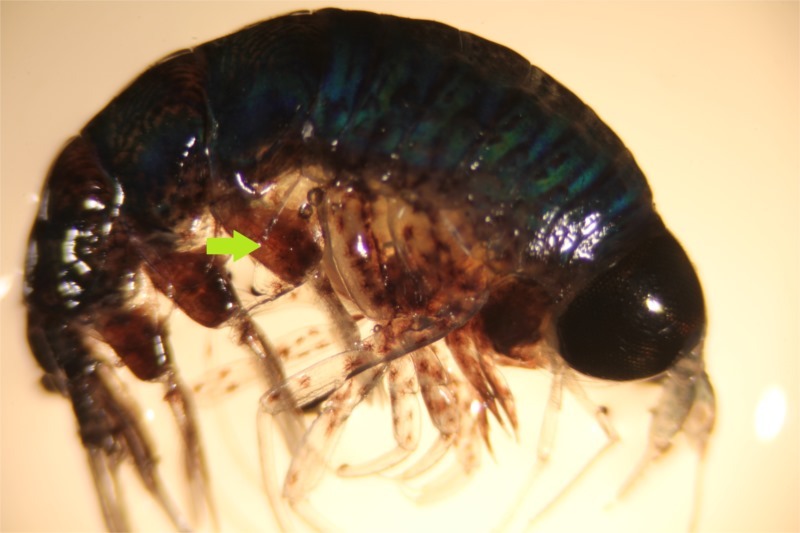 Speaking of legs… we tell a lot of amphipods a part by the size, and shape of their legs and leg segments. Let me show you an easy example. 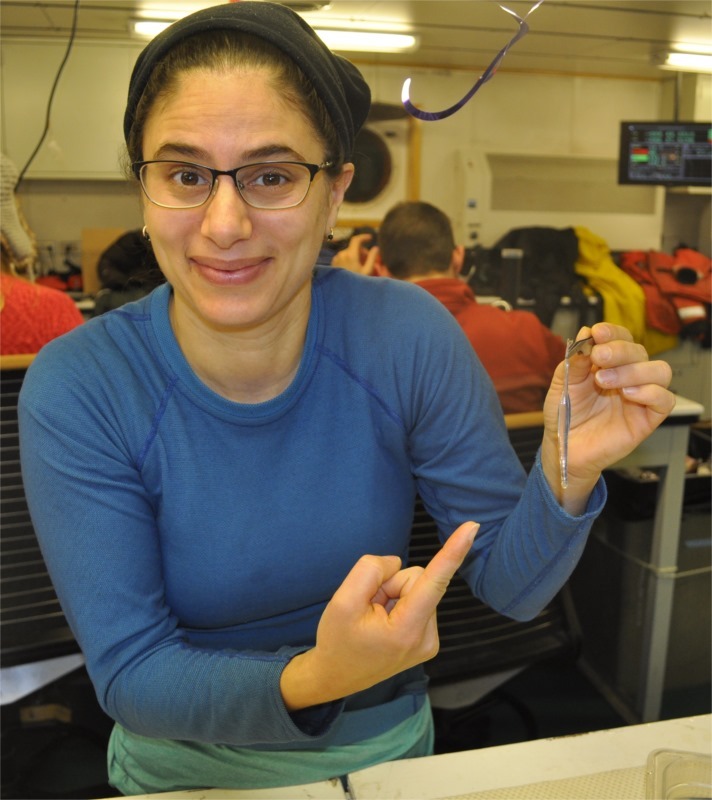 There are two closely related species that we frequently catch. 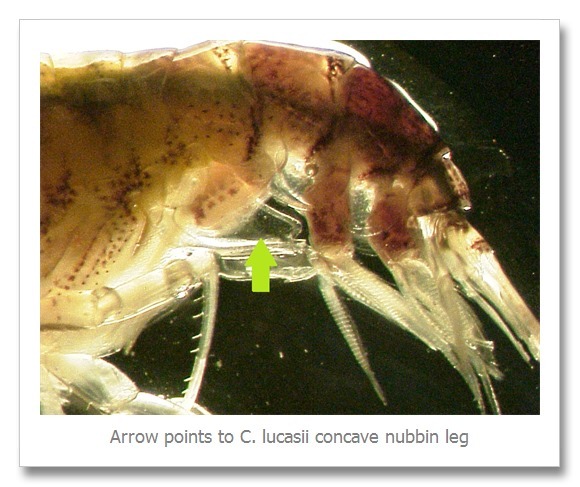 One Cylopus magellancicus has a nubbin leg that is round (convex) or flat on both sides of the leg. 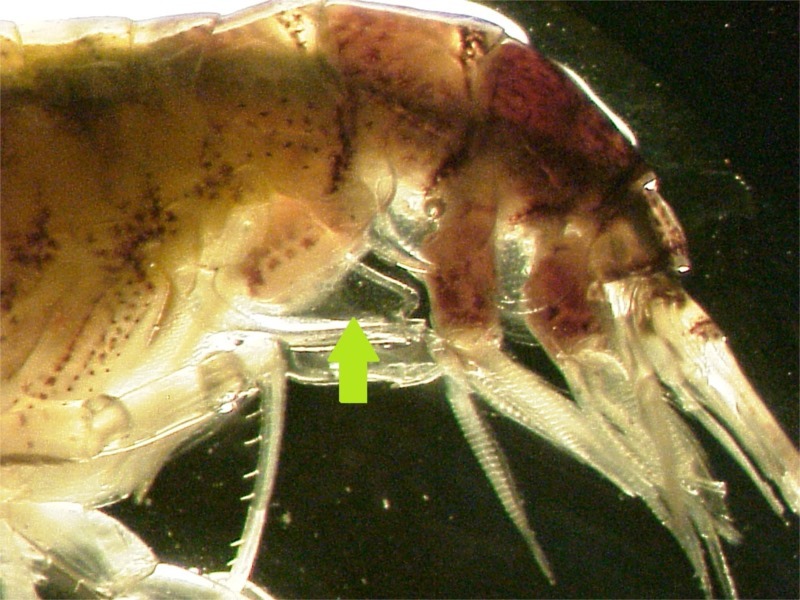 The other Cylopus lucasii has a nubbin leg that is concave on one side. 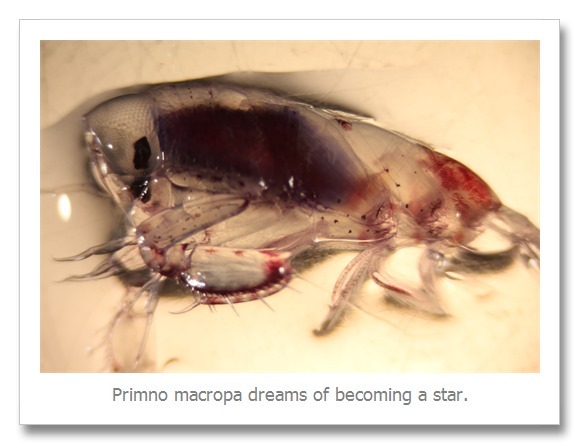 You may have also noticed that in the pictures above the C. magellanicus is blue while the C. lucasii is a reddish brown. 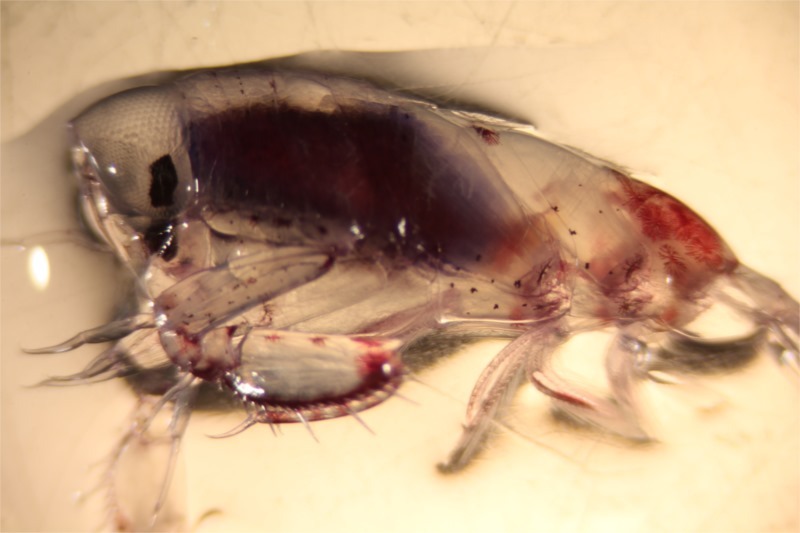 Only C. magellanicus has a blue form, but not all C. magellanicus are blue. 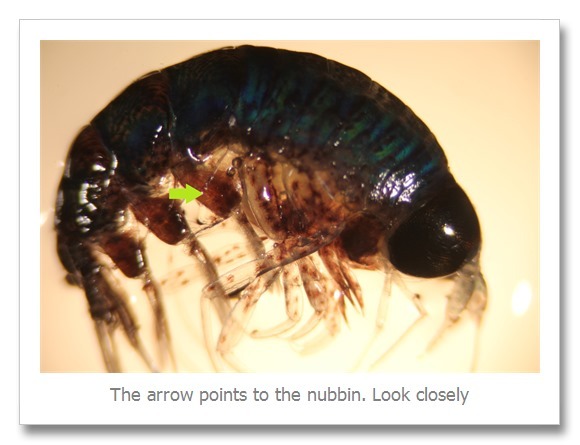 So, if we have a Cylopus that isn’t blue, we need to look at the nubbin leg every single time. 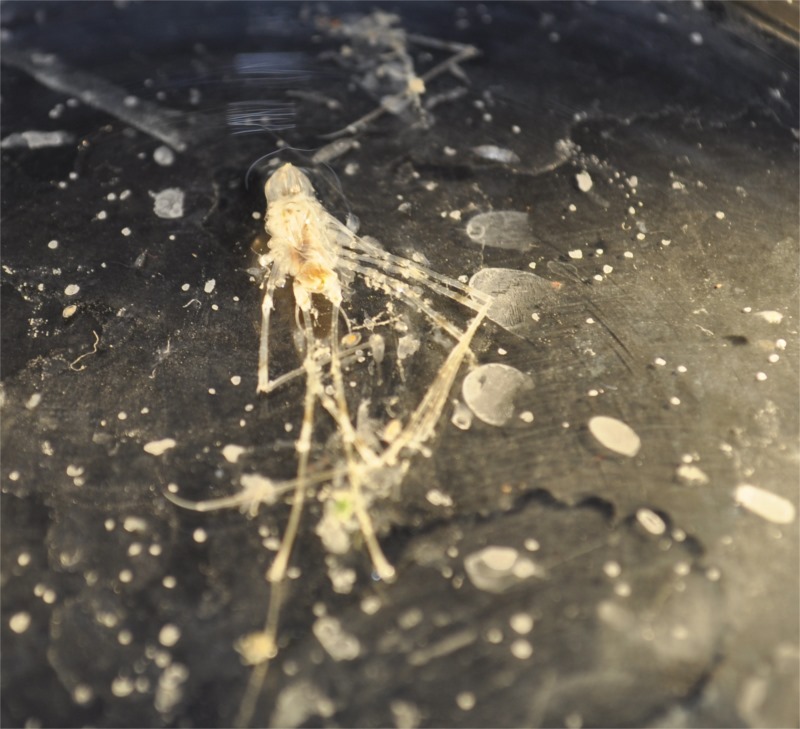 One critter that we get every tow, that is super easy to identify is the chaetagnath (arrow worm). These guys are serious predators. They will try to eat anything they can bite, no matter how big. 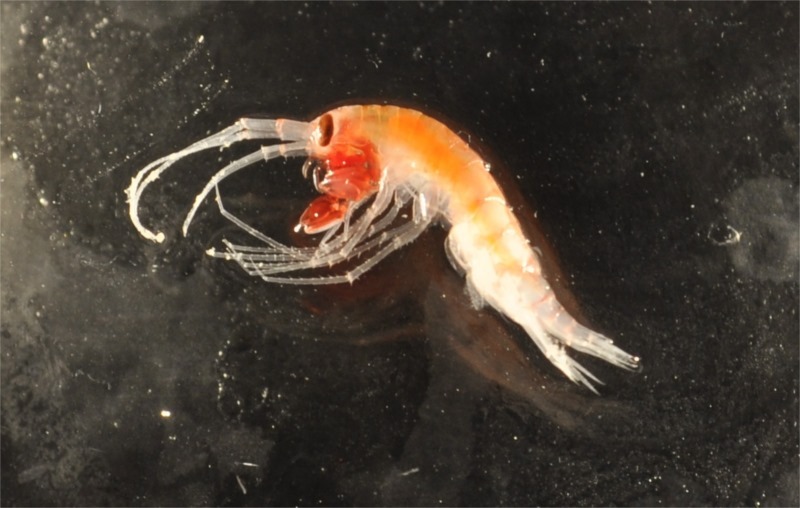 In more temperate oceans these guys are pretty small and you need a microscope to see them. 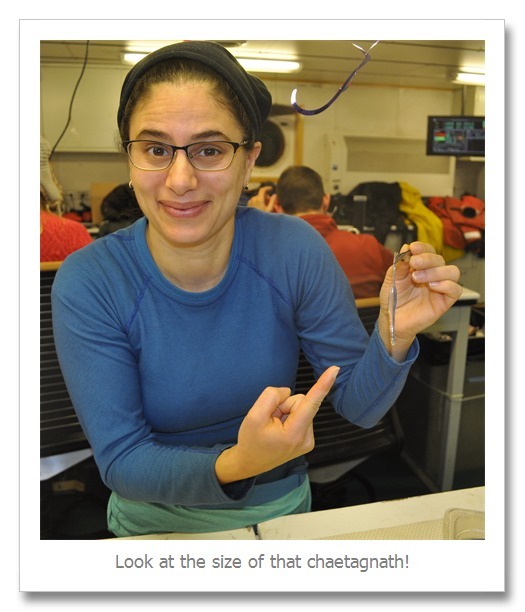 In the Antarctic, cheatagnaths grow surprisingly large. Well I hope you enjoyed learning about zoo lab weirdos. They certainly are fun for us to look at! This entry was posted in 2016 Winter, Antarctica by Adrian. Bookmark the permalink.